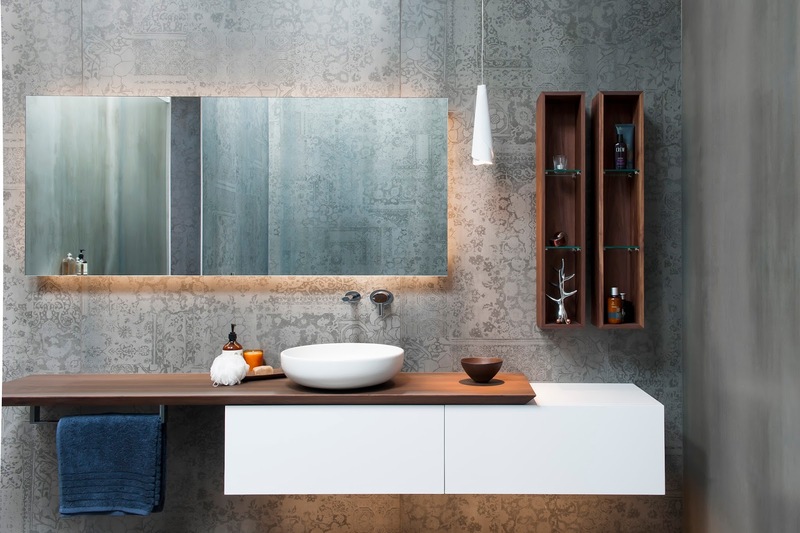 Main Bathroom meets Powder Room – It seems these days that we all want our Powder Room to be the showstopper of rooms; they are generally small and highly visited especially by guests to the home. This space had to incorporate the Powder room as well as the main bathroom, generous in size yes but there was a real need for us to define the spaces. The results and these stunning images will speak for themselves. A dilapidated two bedroom, timber clad, 1920’s heritage listed home in Sydney’s Crows Nest was in desperate need of saving. Its life for the past 10 years had been home to squatters and the homeless. Situated close to the city, cafes and schools the new owners believed it had great potential to be transformed/renovated into their magnificent family home. Act as a powder room for guests and functional bathroom for family – a modern romantic room that played on the connect of old world and the a new modern world. The client had strong desire for this space, it had to be breath-taking, it had be luxurious, it had to use the space well and over all she wanted a romantic touch. 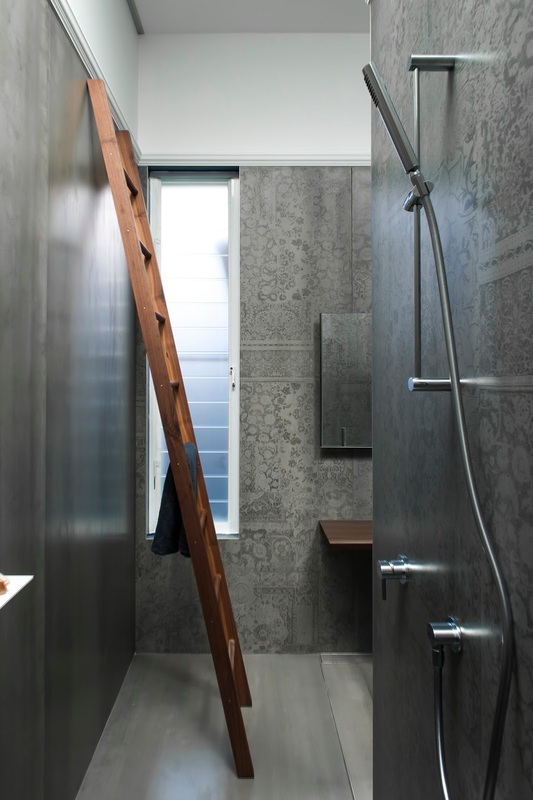 Whilst this space was a great size, with only one window and a movable doorway in the way the designer had free rain to create a striking bathing space that was also the powder room for everyday use. 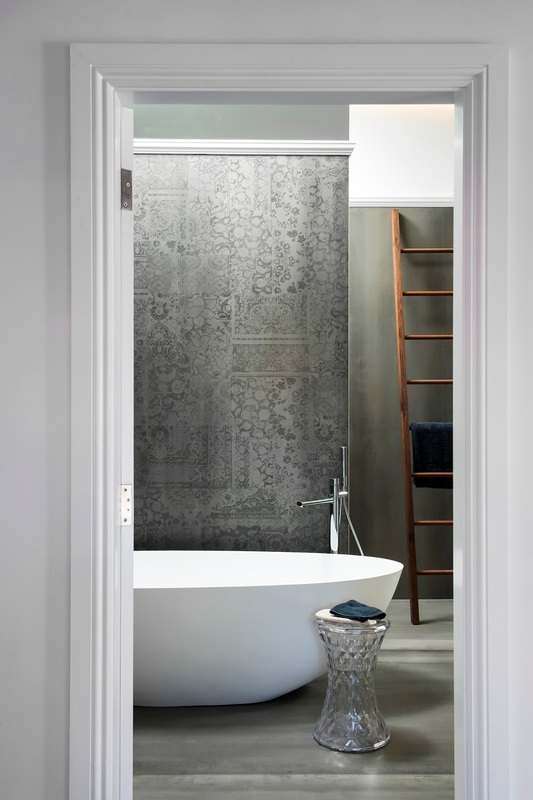 The designer wanted to create a space that epitomised luxury and played with the old world charm of this heritage listed property and the modern world we live in now On arrival or in passing it had to fell relaxing and a place you wanted to visit and spend time in. 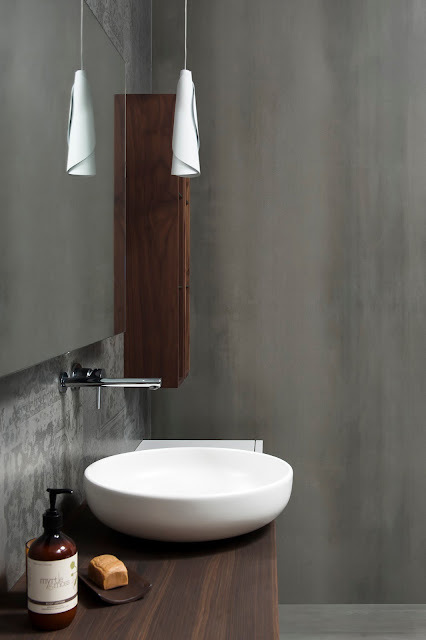 Thru the spatial design process of the bathroom the designer chose to place the toilet behind the door to offer privacy, away from view; this encouraged the door to be open, a blade wall was introduced to conceal the shower from everyday view and to create a striking backdrop for the stunning freestanding bath. 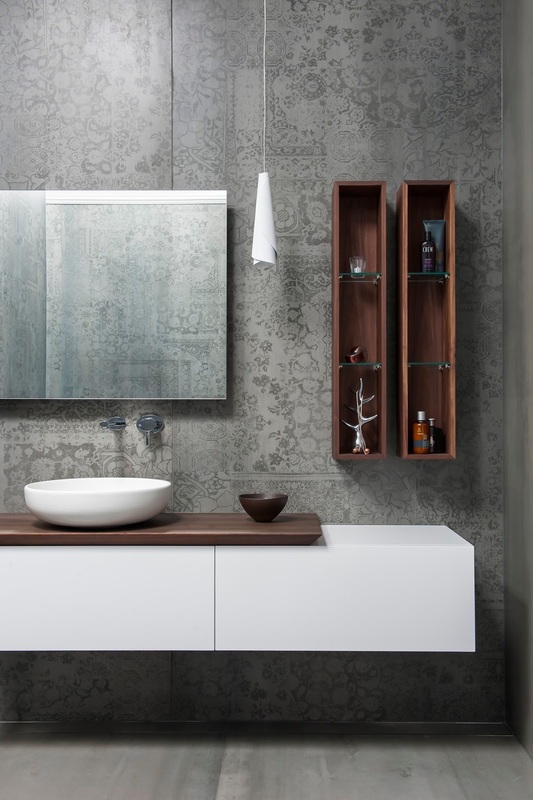 The northern wall of the bathroom became the space for the bespoke vanity unit; this unit had to be beautiful – two large servo drive drawers are created below the incredible piece of solid walnut perfectly placed above. On this stunning piece of walnut is the incredible hand made ceramic bowl, a striking element that adds to this piece of furniture. To create balance to this bespoke piece of joinery the designer created to open box storage elements as a decorative area for items of joy. 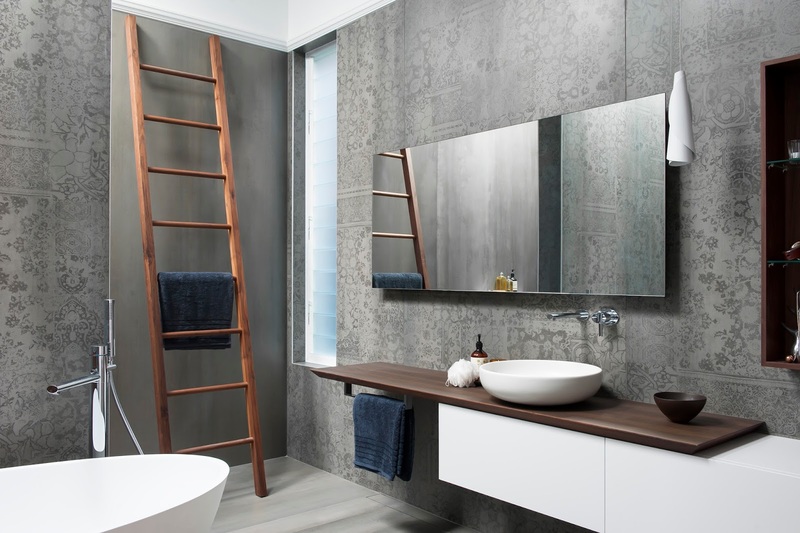 With the layout resolved and joinery created the designer set about introducing the romantic elements, a towel ladder made from matching walnut to the vanity was hand made to old world style, a ornate picture rail capping was applied to the top of the large format oversized tile to the wall. The large format wall tile was selected for it’s resemblance to lace with these elements combined it added the romantic touches the client sort. 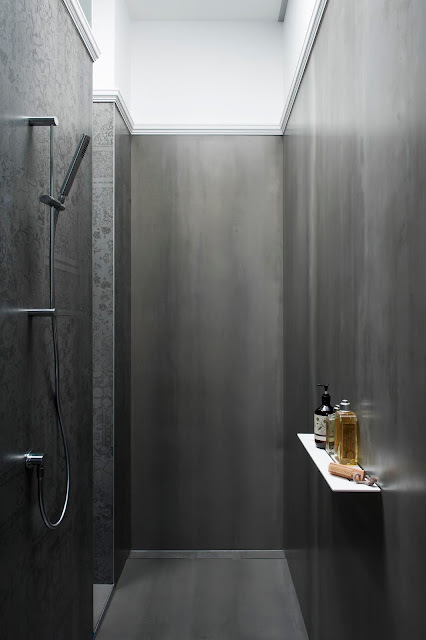 Stepping behind the new blade wall you find a massive walk in shower with a large skylight above, which floods the space with light. 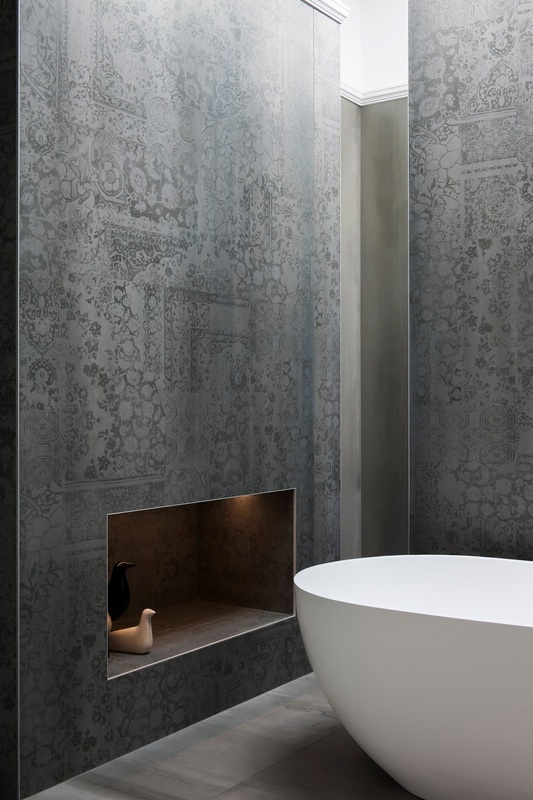 Overall the efficiency of this space is a triumph, the design aesthetic is romantically stunning. The client and designer could not be any happier with this amazing result. This Powder Room bathroom come main bathroom is high on list of our favourite work, the client trusted the process of designer and client and once the design was completed the plan was implemented…the results of this bathroom are just amazing. 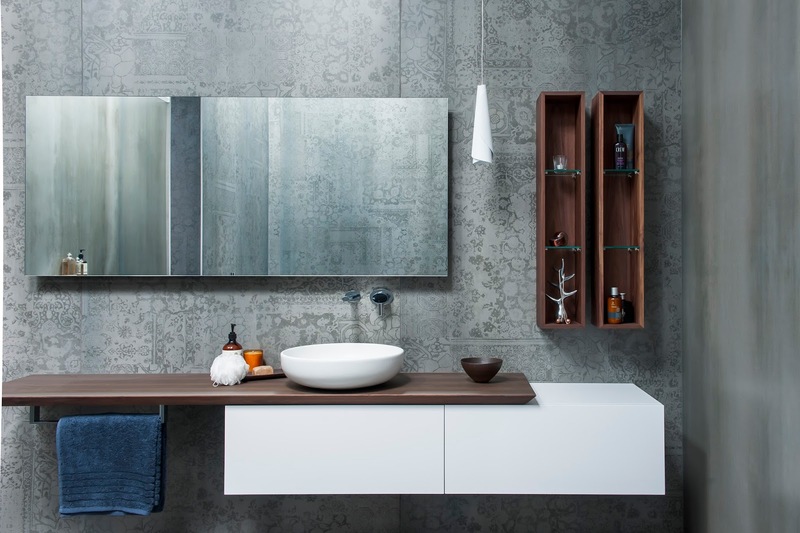 KBDi Large Bathroom of the Year 2015 NSW. 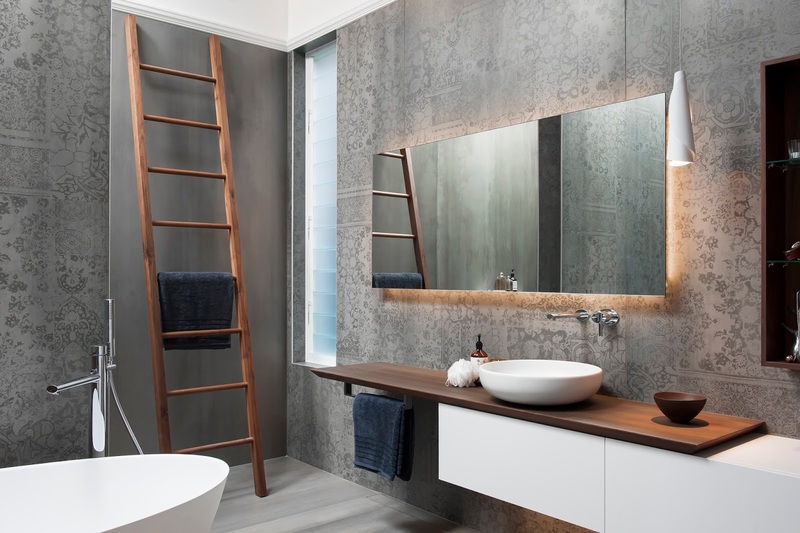 This was also part of the portfolio that has won us the Australian Bathroom Designer of the Year with the KBDi for the 3rd year running.